Serialtest helps you isolate problems fast. 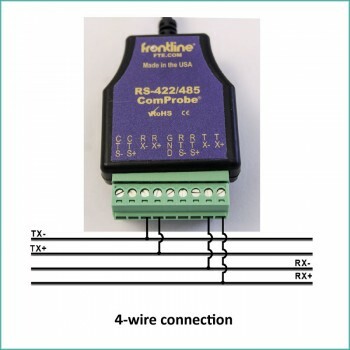 It helps you quickly debug and fix serial communication problems. An indispensable troubleshooting tool used across many industries. See datasheet too [Attachments tab]. Serialtest is a PC-based analyzer for passively monitoring or actively testing serial asynchronous (async) communication circuits and networked equipment, at speeds up to 921.6 Kbps. 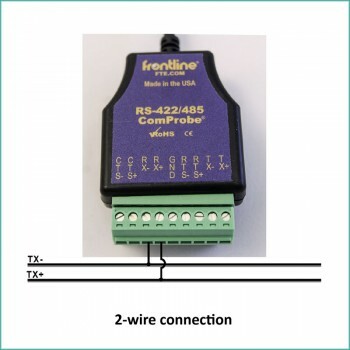 The product offers an economical solution for developing, debugging, testing, and troubleshooting equipment, circuits and software applications on serial data communication networks. Serialtest will help you quickly and easily find and fix even the most obscure problems and save countless hours of troubleshooting time. It is portable and easy-to-use with power and flexibility. No matter what the industry, Serialtest is an indispensable troubleshooting tool. Typical test application areas include utility meter reading, railroad signal and switch monitoring, PC-based control, lottery and gaming, credit authorization, and the Internet. 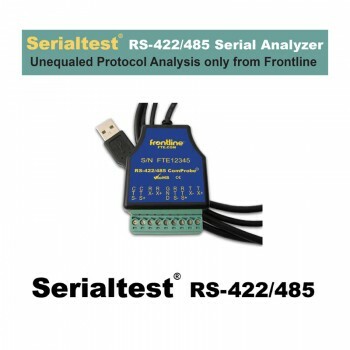 Once you’ve used Serialtest, you will never want to work on another serial communication problem without it. 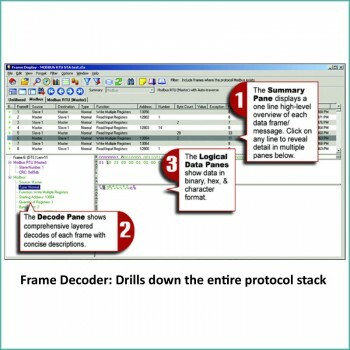 Build your own custom decodes for proprietary protocols and extensions to existing protocol decoders using DecoderScript™, Frontline's intuitive, high-level scripting language. Our DecoderScript Manual is a comprehensive guide to using the DecoderScript language and includes many examples of writing custom decoders. Frontline® is a proven leader in the protocol analyzer industry. Since 1985, Frontline has developed a host of technology sniffing tools and shipped over 40,000 units around the globe. 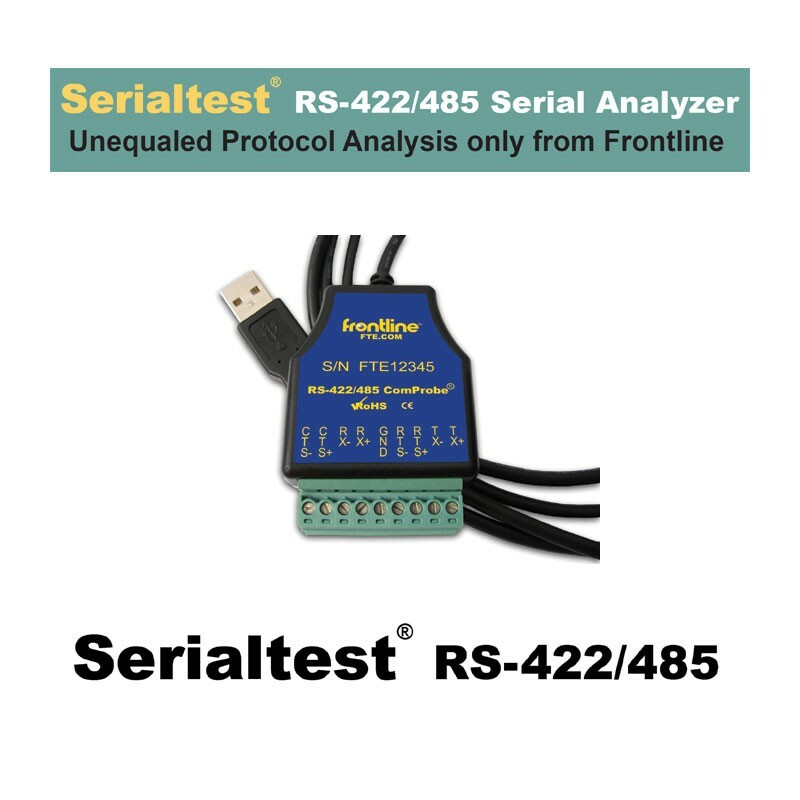 Serialtest is the foundation of a growing family of Frontline protocol analyzers, each of which incorporates a time-tested user interface and the DecoderScript™ decoder scripting language. Whether you need help using a basic product feature, want an explanation of the protocol stack, or have a question on using DecoderScript to write your custom decodes, you can be assured of a friendly, thorough, and timely response. AXONNET responses all first level requests and elevates all other possibly more complex issues to the proper address and response of the vendor himself. See the specifications tab for more information about system requirements. 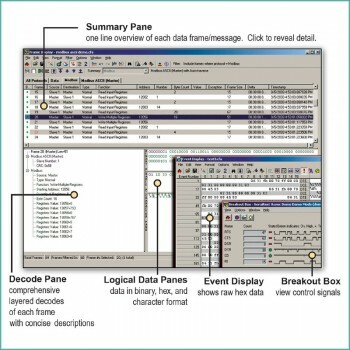 To learn more about debugging serial communications, you may download a demo. Ask us any pre-sale support questions regarding your measuring needs, protocols and your technical environment. Or order your copy of Serialtest online. Serialtest (aka Serialtest Async) was the major core product of Frontline since its foundation in 1985 till approx. the year 2000 when Frontline started to develop and sell its new branch of the Bluetooth and Bluetooth related analyzers. Frontline has supplied more then 30.000 units of its Serialtest world-wide so far. The current form of Serialtest represents the already IV. generation of the product. It is still Portable, Affordable, PC-Based Datacom Test Equipment, now accommodating all Frontline's 25+ years experience in the field while taking the form of a Very Easy to Use, Versatile and Reliable analyzer who's vendor enjoys the long term stability based on its wide product portfolio. Note: the measuring PC itself is not included. Frontline does not charge for software upgrades for Serialtest. Buy once and receive all future updates free of charge.